"Great service & fast turn-around"
"Patten Screen Print produces very high quality work at sensible prices"
"All orders are handled in a professional and speedy manner"
"Excellent quality products at a reasonable price"
Patten Screen Print have been providing a wide range of screen printing facilities since 1987. We have extensive expertise and the capability to print onto metal – stove enamelled, powder coated or anodised, plastic – Perspex, ABS, HIPS, Polyester, Polypropylene, PVC, Foamex and Polycarbonate, Carbon Fibre, wood etc. 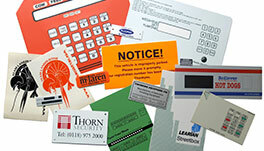 We also produce durable, top quality graphic overlays and vinyl labels. Based in Wokingham, only 5 minutes from Junction 10 of the M4 Motorway, Patten are able to offer a complete service with cutting, routing and drilling machinery on site. 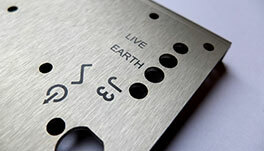 We can help with your designs, produce artwork and make screens in-house. Reliability and a can-do attitude set us apart. See what our long term customers say on our testimonials page. 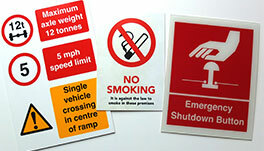 If you would like more information about our screen printing services, call our offices in Berkshire on 0118 978 5995.